Amazon recently rolled out availability of Apple Music on Amazon Echo devices. If you are an Apple Music subscriber, you can now ask Alexa to stream your favorite music. If you don’t have a specific song or artist in mind, you can even request playlists or genres. Check that your Echo device is connected and you are signed in to your Amazon account. Tap ‘Enable to Use’ Apple Music. Sign in to Apple Music. Tap “Allow” for the access request. Request your favorite song or artist “Alexa, play Queen on Apple Music,” or set Apple Music as your default service. Currently Apple Music only works with Amazon Echo speakers because of their built-in Alexa support. It does not work with third-party speakers yet, like Sonos ONE or Polk’s Audio Command sounder. 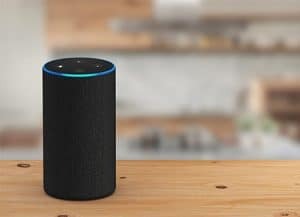 Alexa on the other hand streams music from other streaming music services like Spotify, Pandora, Tidal, Deezer and Amazon’s own music service. There’s no word yet on when or if there will be Apple Music support for Google Home.